When you’re in debt, it can feel like you have chains wrapped around you. 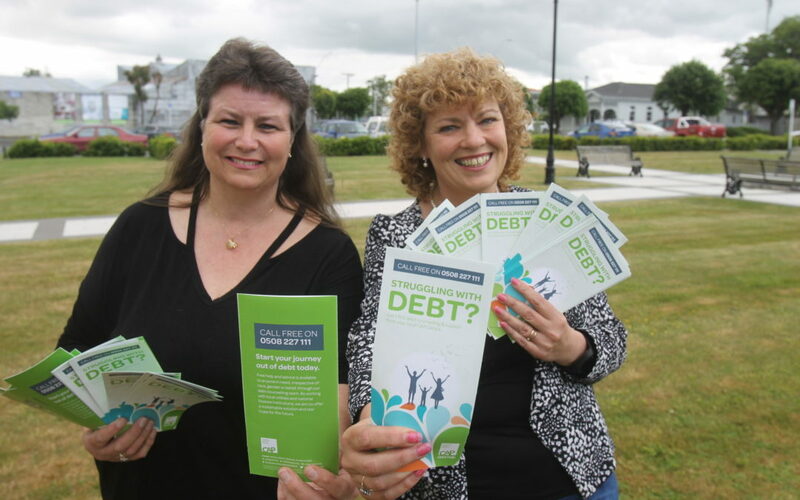 That’s according to Jen Bockhop and Jacqui Lockyer, who volunteer their time assisting Wairarapa people to become debt-free, free-of-charge. This year, they’ve helped four people become debt-free. The organisation they volunteer for is the Wairarapa branch of Christians Against Poverty, a charitable organisation that specialises in debt counselling for people in financial difficulty, including those in need of bankruptcy or insolvency. The Masterton-based branch celebrated its fifth birthday this year and over the years has helped 18 Wairarapa people become debt-free. “Debt can get to the point where people don’t want to answer the phone, they don’t want to know who is at the door, they don’t go visiting people because they don’t have money to do anything,” Jen said. “With us, there’s no judgement – we just want to help people find a solution. Unlike many finance management organisations that encourage all debts to be paid off first with the remainder going to living expenses, CAP works out how much money the client needs to survive at a reasonable standard of living, and the remainder is split between paying off debt and contributing to savings. “There is a standard of living,” Jen said. “We see families of five trying to survive on $60 a week for groceries. One Wairarapa family that Jacqui coached out of debt were living day-by-day on their finances. “Sometimes it was $80 a week on food for six of us . . . it was frustrating,” members of the family said. Within the family, there were issues of alcohol addiction and gambling, which were coping mechanisms for the debt, but also made the debt progressively worse. “You don’t want to come across as a failure because you can’t control your money . . . but there’s times in your life you just have to bite the bullet and say, ‘look, somebody help me’,” the family member said. Often, picking up the phone and asking for help was the hardest part of becoming debt-free, Jen said. “But when they get to the person on the other end, it’s actually not that bad,” she said. “We’re taking away that stress and replacing it with hope. “We’re volunteers, here to make a difference. I’ve had a situation where somebody is in a one-room place and working really hard, but the debt is so high that there is just no money there for food. “People can get into that situation and sometimes, it’s bad choices, and sometimes, it’s no fault of their own. Jacqui said with CAP, she and Jen advocated for low or interest-free repayments for their clients. “Because of CAP’s reputation, the creditors will negotiate with us because they know it might take longer, but they’ll get their money. “A lot of people on our budget have felt relief because all of a sudden, they can buy healthy food to feed their families. “I have helped a Featherston family who thought it was going to take them 10 years to get out of debt. “They came on board with us and once the interest was gone, they couldn’t believe how little it was going to take, and they ended up becoming debt-free within two years. “The main thing is to get people’s lives changed and get them out of the rut of having an unmanageable debt,” Jacqui said. In Wairarapa they also run CAP Money courses, to help with budgeting, and to prevent getting into debt. These are also free. Contact Carole on 06 378 9369, or Jacqui on 027 877 6185.